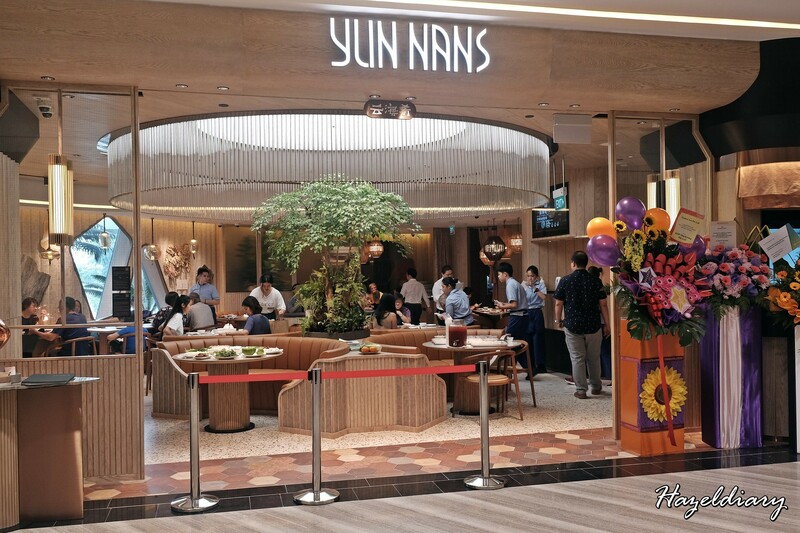 Yun Nans, known in China as 云海肴 (Yunhaiyao) is the largest Yunnan F&B chain with over 150 outlets in China and choose Singapore as the place to open its first store in 10years, and first out of China. 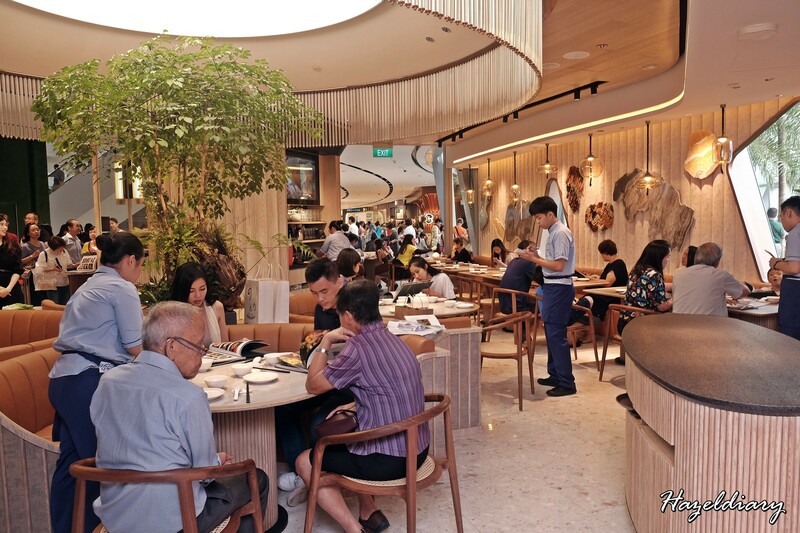 The restaurant is located in the new Jewel Changi Airport that is set to open to public on 17th April 2019. The restaurant specialises in gao yuan liao li, or highland cuisine. There are seven tropical belts in Yunnan, and the highest measures 6,000 metres above sea level. 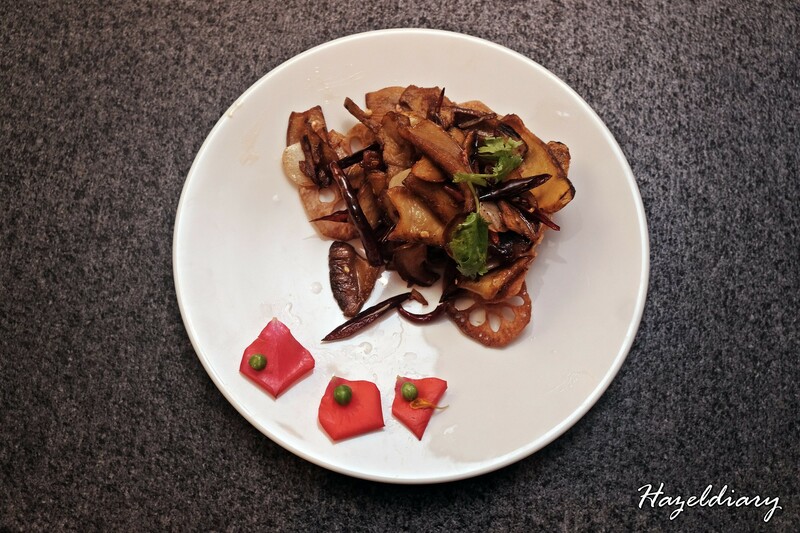 This explains the ingredients used are free from pollution and Yun Hao Hao works closely with local farmers in Yunnan to harvest the wild mushrooms and ingredients. 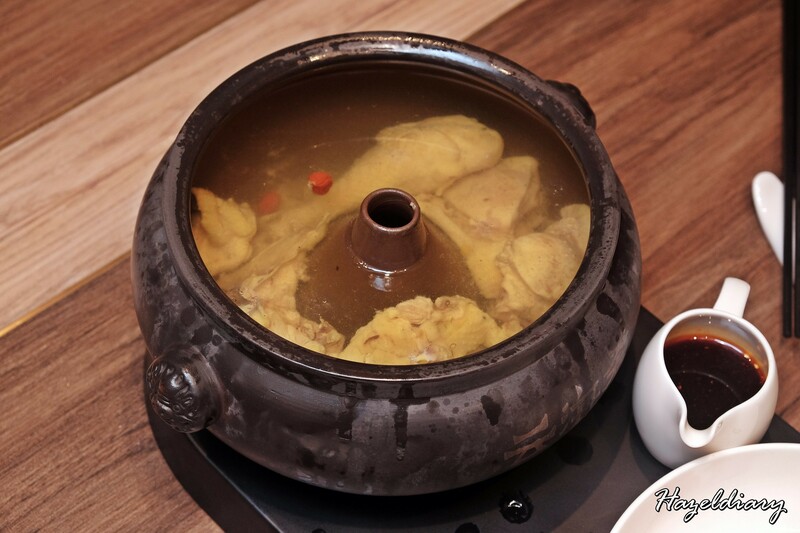 Their signature iconic dish of Yun Nans is prepared in handmade Jianshui claypot. What so unique about this dish is that only the special breed of black feet chickens is used and the soup is brewed using a unique technique that does not require a single drop of water. Instead, the chicken is pressure-steamed for 3 hours. The soup is clear, delicate, nourishing and robust in flavour. It gives a home feel and minimal greasy taste I would say. And there is also a special way to eat the chicken meat in order not to waste it. Mixed it with their in-house sauce and beansprouts to enhance the taste of the meat. 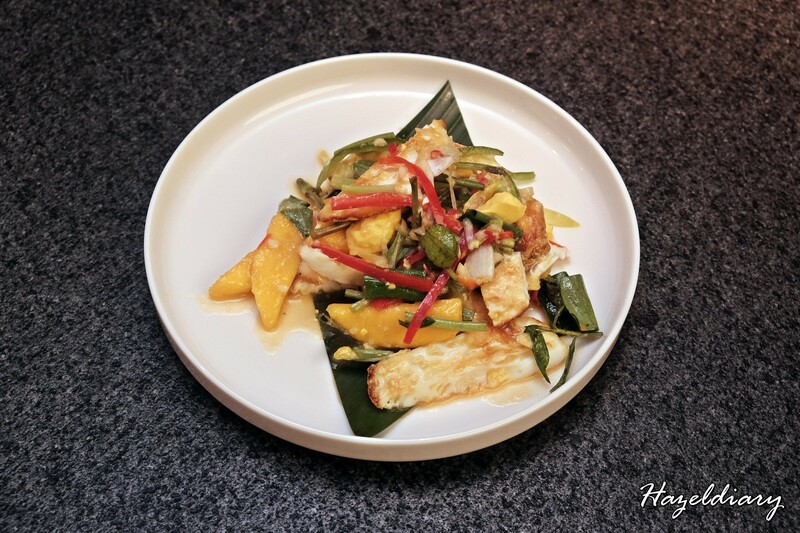 A traditional dish of the Dai minority, the egg and vegetables are tossed in a soup and spicy sauce, tempered by the sweetness of the mango. It is good to whet the appetite before the mains arrive. 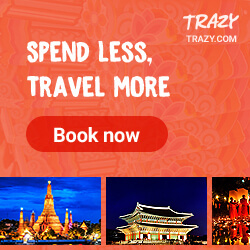 This is made of 7 ingredients reminiscent of Colourful Yunnan. The mushrooms are shredded and deep-fried in Yunnan-spiced oil and tossed in a refreshing and tangy peanut and sesame sauce with other ingredients. 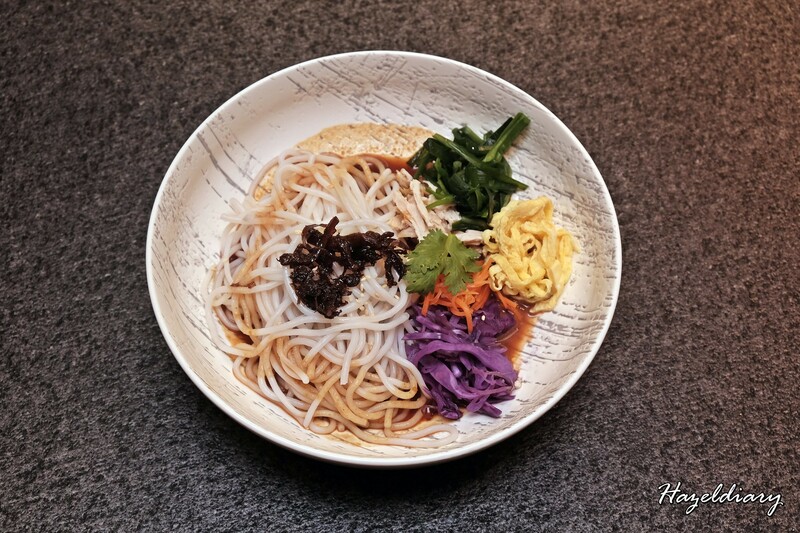 The smooth and silky texture rice noodles are from Yunnan.Mix them well and enjoy it! 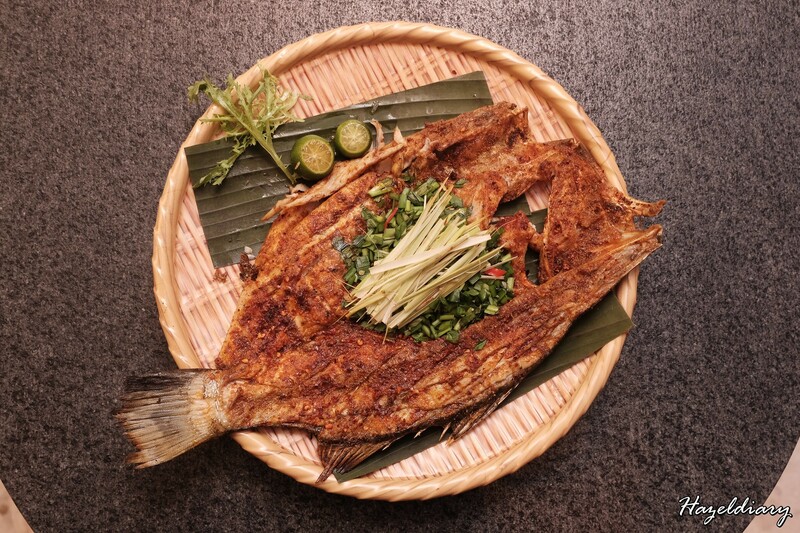 This reminds me of Thailand cuisine using grilled and lemongrass elements in it. The seabass is marinated with 6 types of spices and grilled over charcoal and then sprinkled with an inhouse chilli seasoning. I kid you not. It was quite spicy for me but not to the fiery spicy stage though. So, watch out for the chilli padi! I would recommend ordering this dish. It is simply addictive I would say despite the appearance doesn’t say much. 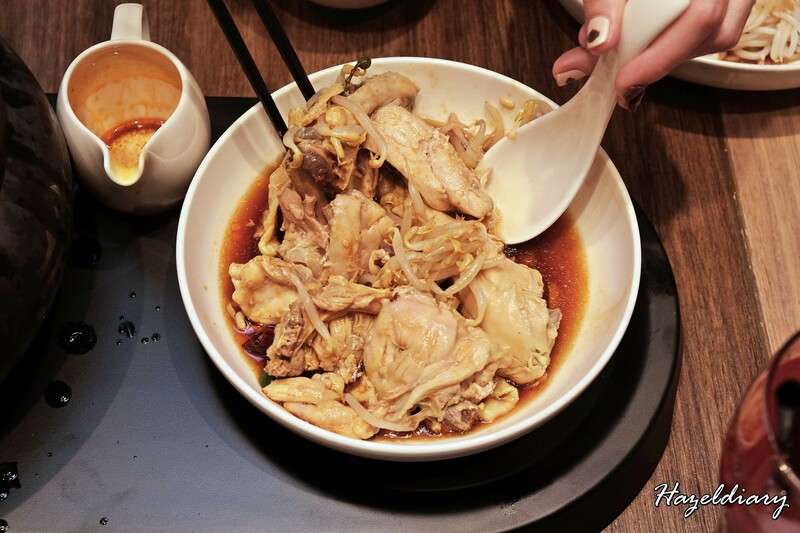 This savoury and aromatic dish comprises the pairing of wild porcini with special Yunnan chillies. The quick frying of the porcini gives it a slightly crunchy texture with deep flavours. Beef lovers can give this a try. 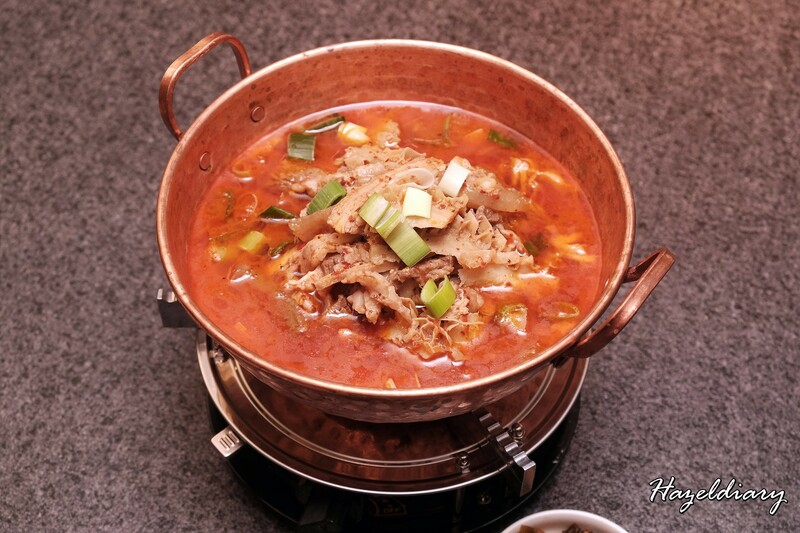 It is served with juicy and tender chunks of beef shin, beef tendon and baby cabbage, potato, turnip, dried pepper, garlic sprout, scallion simmered for more than 4 hours. Spices taste was strong in flavour and best go with a bowl of white rice. This is an exclusive speciality dish inspired by Singaporean prawn noodles. The chef marries prawns with wild black truffle and Yunnan rice noodles. The rice noodle is manufactured in a factory in Yunnan and the recipe calls for a unique 18-step technique. Only spring water and rice are used to make the noodles. Thus, this explains why the rice noodles were smooth and silky in texture. If only the wild black truffle taste can be more significant as the prawn broth soup cover the taste of it. 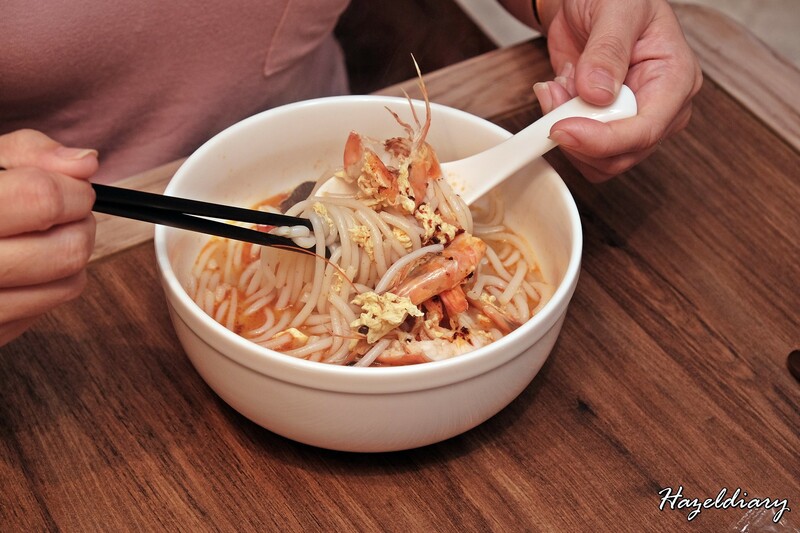 Nevertheless, it is a comforting bowl of prawn noodles. 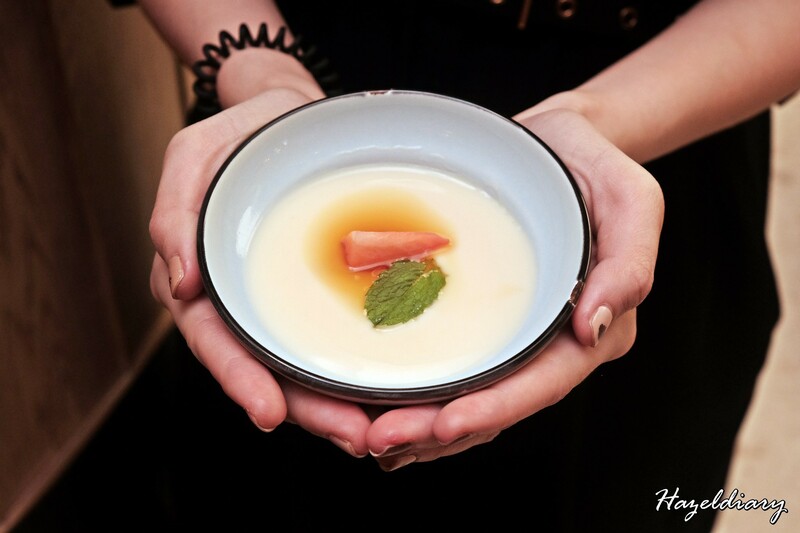 This dessert is a perfect ending for the meal with this healthy, refreshing soy pudding with brown sugar after all the heavy palate. The restaurant also offer other exclusive dishes only at the Jewel outlet including the Stir-Fried Spicy Clams S$14.90++ , Salt-Grilled Salmon Head S$14.90++ for non-spicy dish and Yunnan-style Charcoal Grilled Tiger Prawn S$4.90/pc marinated with a special Yunnan sauce. It was full house during the preview days and I guess it will be for the following months after Jewel Changi Airport is officially open for public. The restaurant is ideal for family or group gatherings with affordable pricing dishes selection.